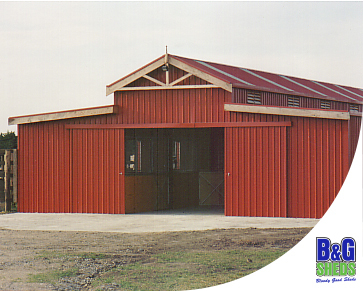 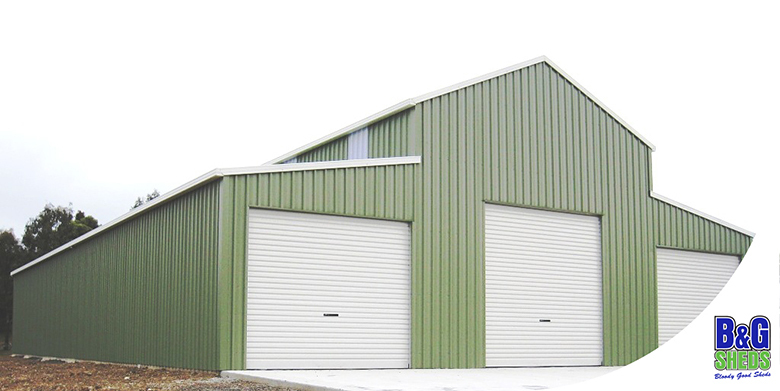 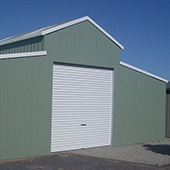 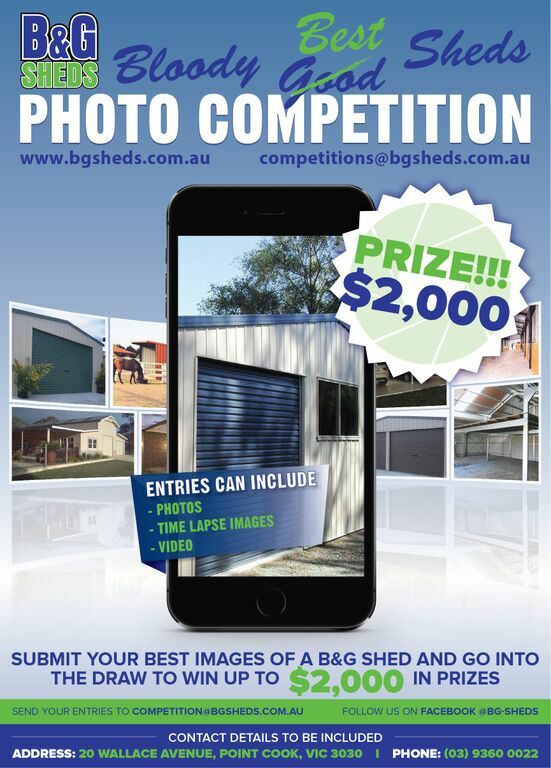 B&G Sheds have created an attractive range of Barn designs that are strong and durable, but at an affordable price. 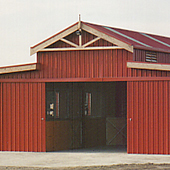 American Barns have a stepup from the lower roof to the second gutter. 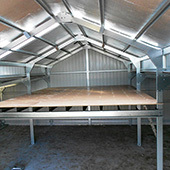 The stepup height can be varied to create additional space for mezzanine floors or a loft. 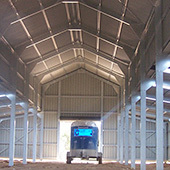 This Barn design has the centre section and one wing only. 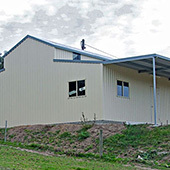 The Gable roof has a 25 deg roof pitch. 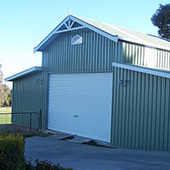 The wing is at 10 deg. 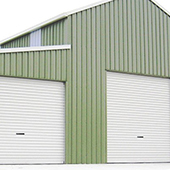 Roof and wing pitches can be varied. 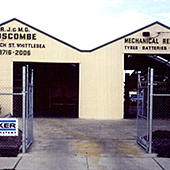 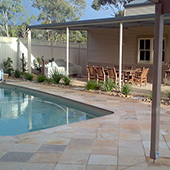 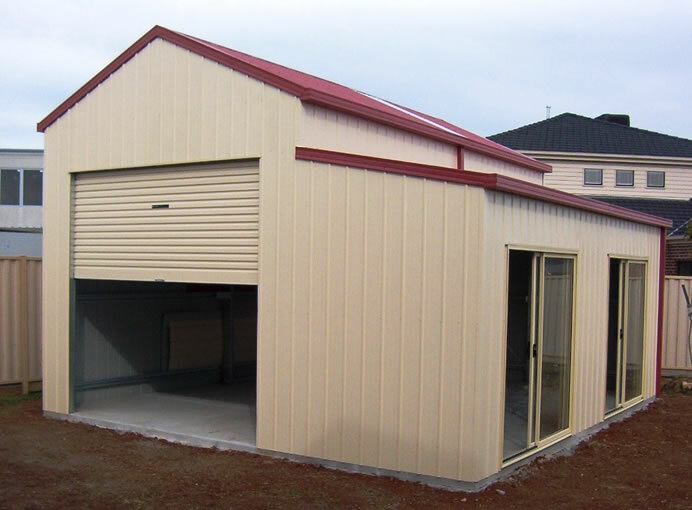 We have a range of different stable designs that we are able to customize to suit the available space and your own individual needs. 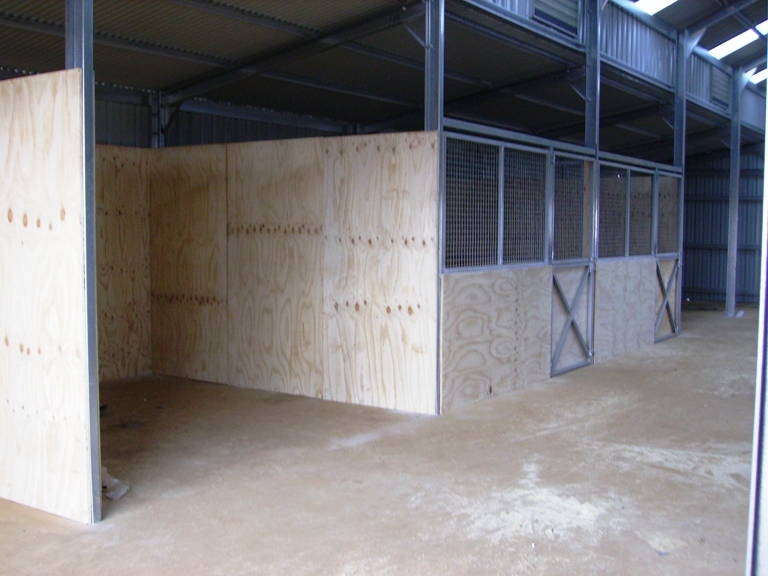 We have a range of horse shelters that we can customize depending on the individuals needs. 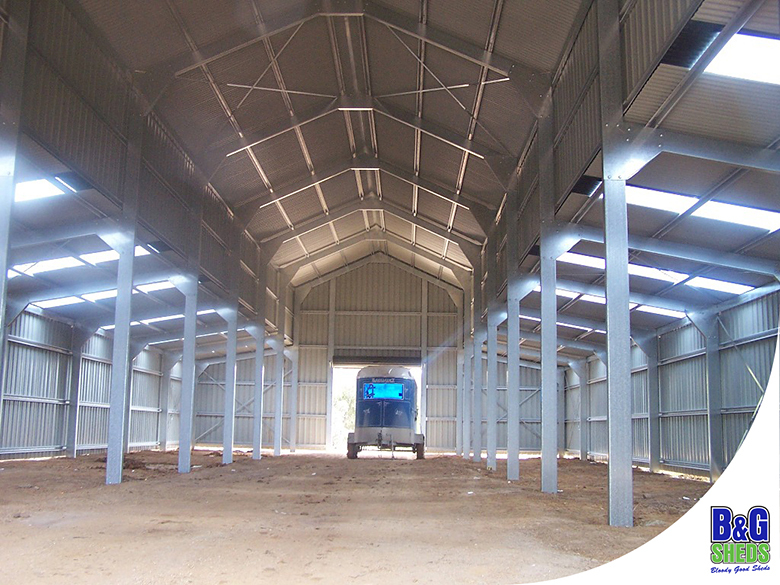 We can customize Indoor Arenas to suit the available property space as well as the needs of the property owner. 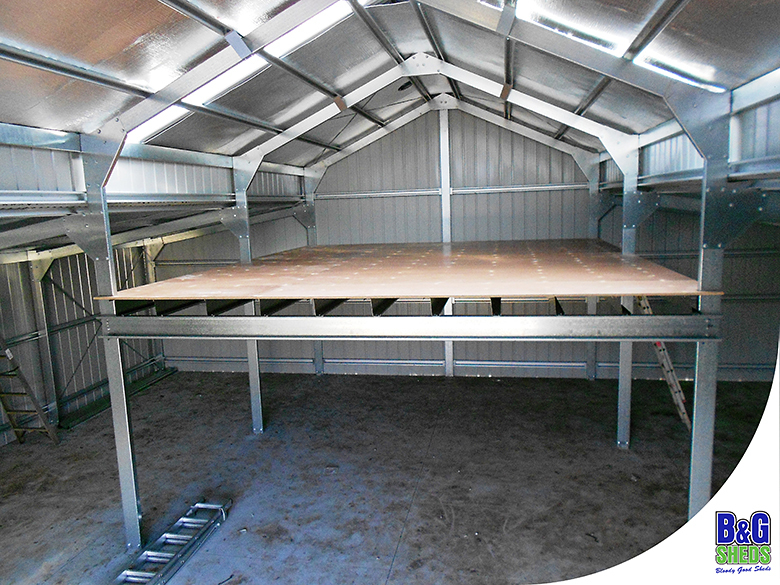 We can any length, up to 42.0 Mt span and heights up to 7.5 Mt. 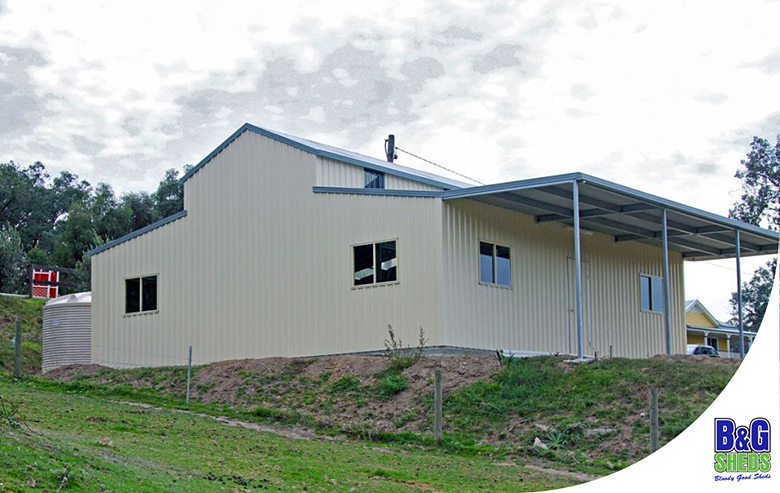 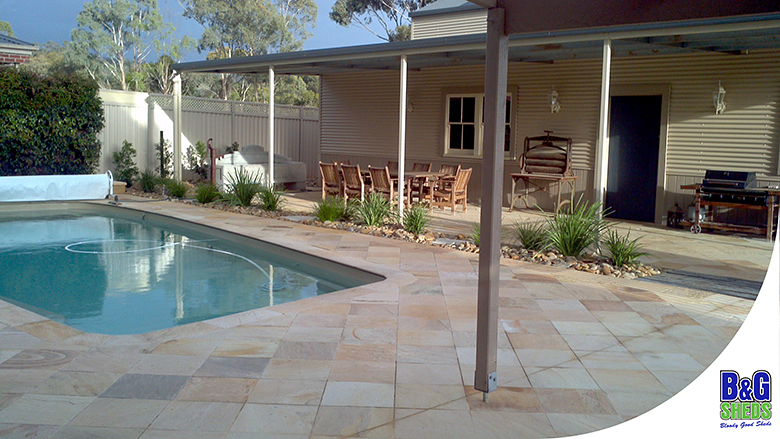 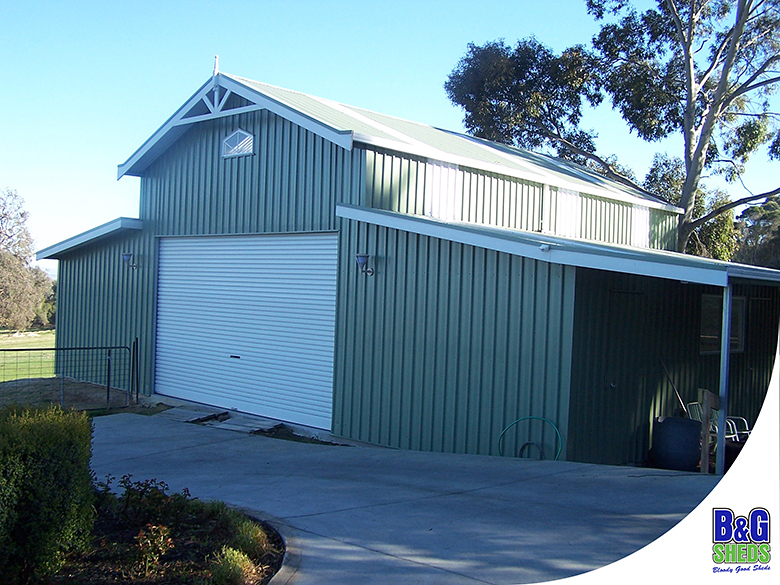 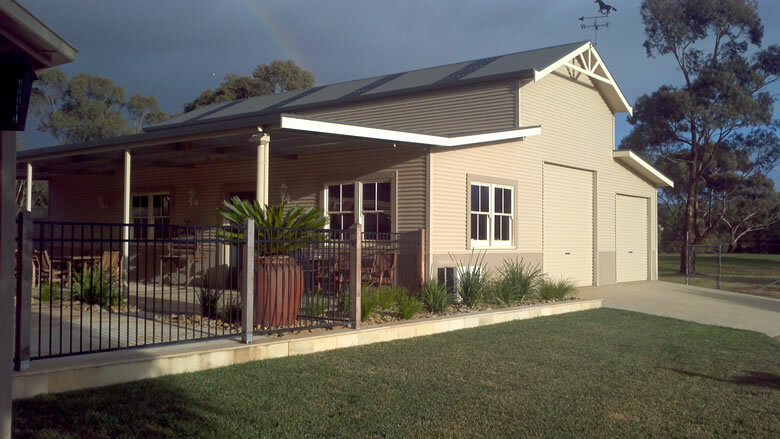 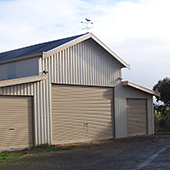 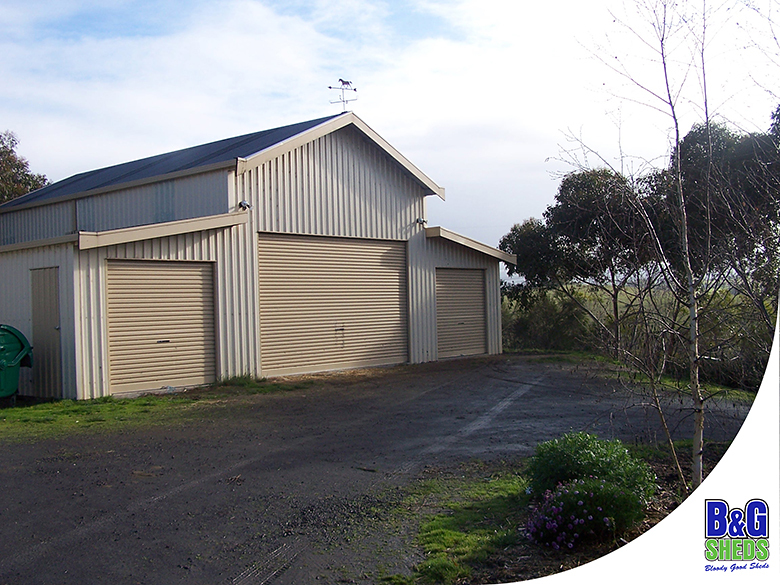 Gable or skillion roof designs, heritage eaves overhangs with sunrise infills, finials, horizontal corrugated walls, Colorbond Weatherboard walls, balconies and verandahs are just some of the ways we customize Barns for our customers. 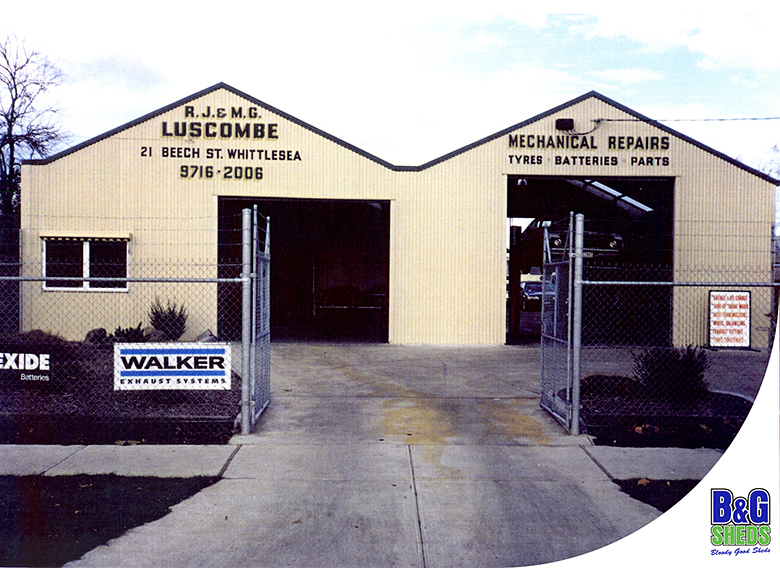 Ask us to help your with your ideas. 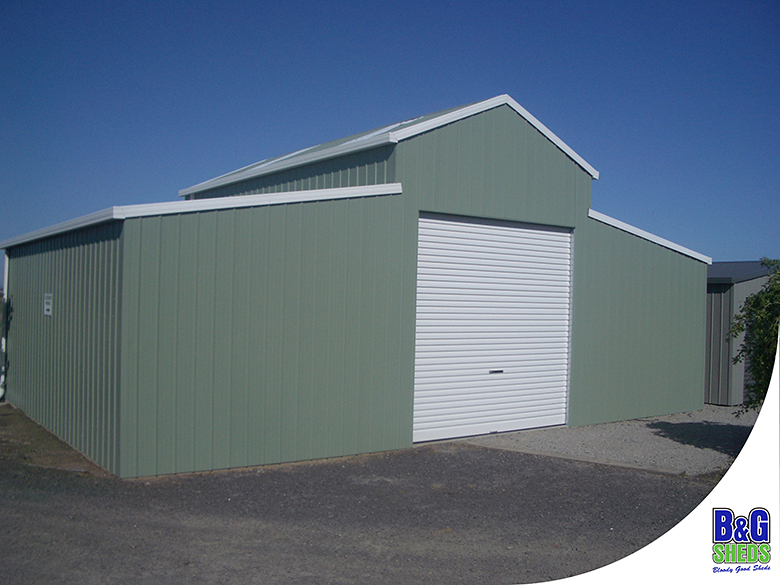 Incorporate our extensive range of options with the flexibility of our Barn designs and create a design that suits your needs and looks great.